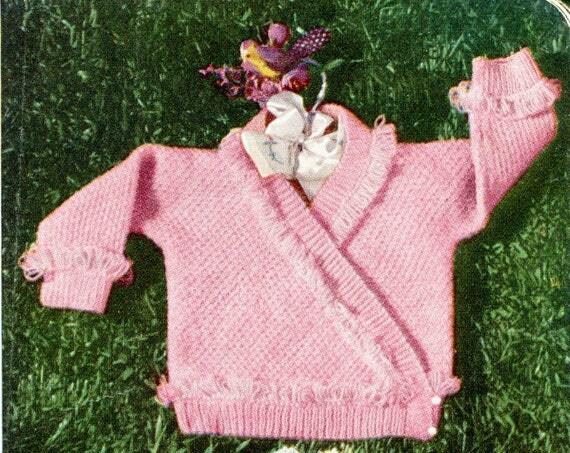 Baby kimono knitting patterns are a great way to increase your knitting repertoire. You may not even know what a kimono is, well it is a style of sweater that wraps around baby and usually ties on the side. So you do not have to worry about buttons and button holes. It is usually a simple pattern that knits up quickly. And it can come in a variety of styles. I have tried to choose several different kimono looks for you to choose for baby. 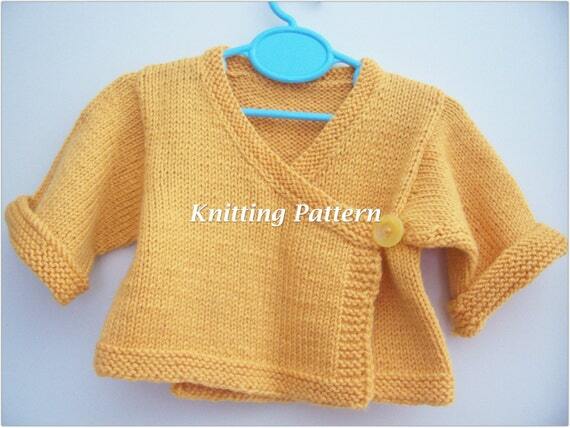 As well as several free kimono knitting patterns. So I hope you enjoy looking for your next knitting project and give your baby a new little baby kimono. 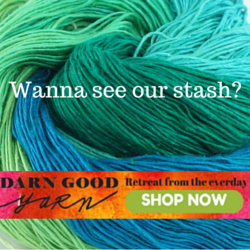 This is a wonderful quick Knit that will soon become a favorite. 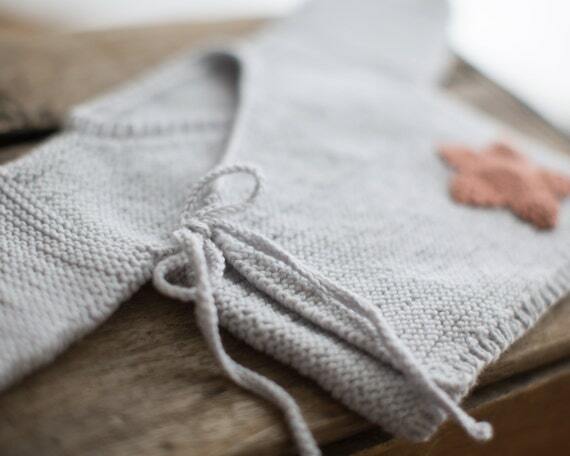 It is made with the seed stitch which is easy to learn and if you already are a knitter then you will truly love how this very sweet little kimono will knit up in just a few hours. Perfect for gift giving. Short notice or just for fun. Short Sleeves with Seed Stitch Details and Button Closures. The size is for 3 months. 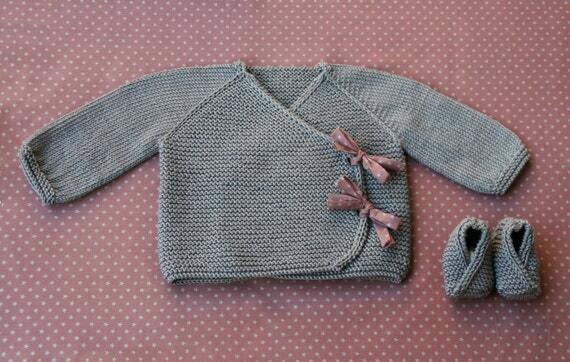 An Easy Beginner Knitting Pattern that will make this a beautiful presentation to a new mother or at a baby shower or even for your own precious baby, It uses simple stitches that all knitters would know. And the outcome of this creation is truly beautiful. 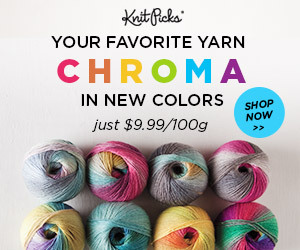 That it is a free knitting pattern is remarkable. 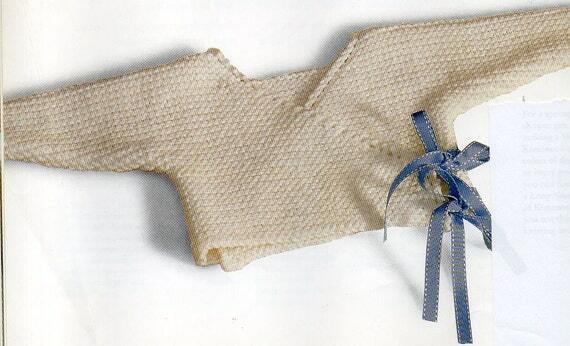 And it is a pattern for the kimono plus the baby blanket. Another Precious Little Kimono that will really dress up your little ones day. 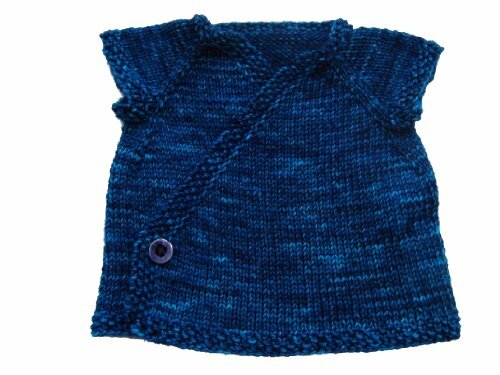 This Kimono is made with the garter stitch throughout. Which is all Knit. So a beginner knitter learns this stitch first. And you would be able to use your new found skills right away and create this Kimono. This is a Ravelry download and again you will need to join Ravelry to get the pattern. But its free like the pattern!